Contents Combustible, Flammable I.D. 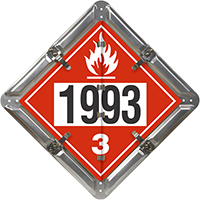 1203, Flammable I.D. 1993 DOT placard flip panels. Flip-n-Lock™ numbered placard sets are used by thousands of trucking firms nationwide – they provide the best value and durability on the market. • Trucker favorite features include double riveted stainless steel spring clips, heavy-duty aluminum flip sheets and an effortless way to flip from one DOT legend or number to the next. Our base holder is 32 mil thick (33% thicker than the competitors). The placard uses a natural aluminum. • Extra large drain holes keep ice and slush build-up to a minimum. • Our edges are polished and smooth – you don’t have to worry about cutting your hands when you install or flip your placard. 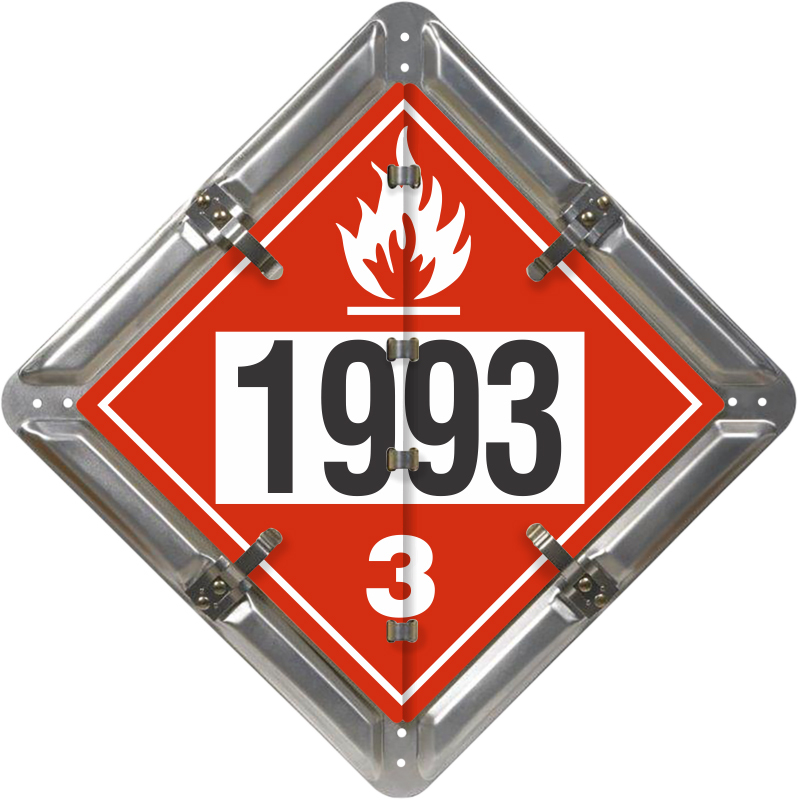 • Flip-n-Lock™ hazards panels and numbers move independently.